On Saturday our daughter Kelli and I finished up the “Puff” quilt. It’s bound and complete and ready for Saturday’s baby shower. The Mom-to-be requested this quilt. I had never made a Puff (biscuit) quilt before so this was a new adventure. The quilt is actually easy to make. 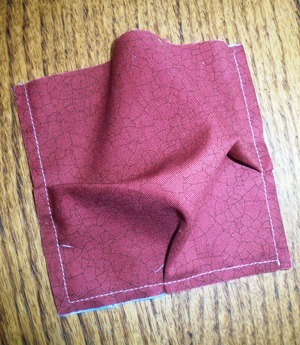 Start with two squares…the good fabric that will show, cut at 5″ x 5″. 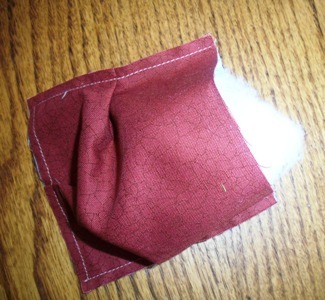 Then get a crappy piece of fabric and cut that 4″ x 4″. Put the good piece on top of the bad. Sew around three sides putting a tuck or pleat in on each side. Put a handful of stuffing in the puff. Pin the open side shut making a tuck in the center. Layer two puffs together and pin. Sew. Keep doing that until you get to the desired size. Mine is in a 12 x 12 setting which makes the quilt 42″ x 42″. To finish the quilt cut a backing, layer it right sides together on top of the quilt top. Sew around the edge leaving an opening to turn the quilt right side out. Trim the corner and turn it right side out. Stitch the opening shut. Tie the quilt. This quilt is really more of a decoration than actually usable. It was fun to make..I like trying something new!! If you are new to the blog, welcome. We put up new posts daily. If you’d like to see what’s new and current, you can find that here. This entry was posted in Finished Projects, Quilting on April 5, 2013 by Jo. I remember making one of these with my mom and sister many years ago when I was in high school. We stuffed ours with pantyhose! I wish I’d kept it now but over the years felt the fabrics were so ugly that it was probably donated somewhere. That is awesome! My great-aunt had one of these – probably one she made – and I found it fascinating. I’ve never made one, but might have to try! Really great finish! Does anyone know if they survive washing very well? I just wondered if the “puffs” only have a wad of poly-fiberfill in them what happens to the stuffing after it’s washed. I’ve always meant to make one of these. When you say it’s not really usuable does that mean it’s not a good idea to wash them? It looks like it would be extra cozy. What a fun project to work on with your daughter. Beautiful quilt! I have often wondered how hard they would be to make, Thanks for sharing how your daughter made it. My mother-in-law made us one for our rocking chair when our son was born in 1976. I remember the backing and binding was orange corduroy. It held up very well with repeated washings. Wonder if it would work with a fleece backing? Seems like it would be warmer than just another piece of cotton backing. 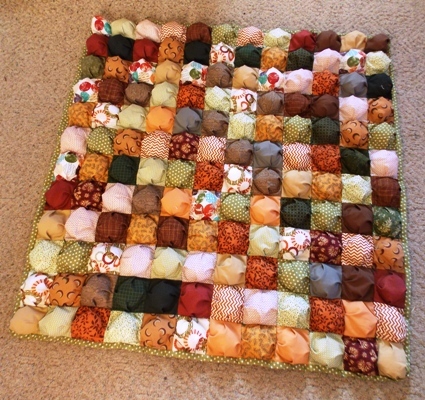 I remember starting a puff quilt and they called for batting and backing as well….never got very far with it. Have so much extra fabric, may have to make one now. Going to try the fleece backing. I made several of these from a pattern my utility company put out in 1976. I actually still have one and it has been washed millions (I imagine) of times. I made it by hand and on a treadle machine. All of my babies used it- the youngest is 35. I am making one now for my autistic grandson. I imagine he will have it forever because he never can throw anything away. This way seems much simpler than other directions I have seen. Some thoughts are that a fleece backing would be so great for this quilt. Lots of fluff and warmth. My other thought is I don’t think this would be a safe quilt for any infant to actually use. It is unsafe to use fluffy blankets for infant bedding. So this would be better if a toddler used it when laying around watching Tv. My daughter is always freezing and I really would like to make her this quilt , so need to start thinking about which fabric. FROM THE NYLON/POLYESTER FLORAL PRINTS AND IT IS REAL PRETTY AND DIFFERENT. I am a seasoned quilter, but have never tried one of these. I think my 3 year old granddaughter would love playing with one of these with one of her dollies. I am going to start today!. I made each of my grandchildren one and they used it all the time and it was washed all the time. I also made a quilt for my bed and it was really pretty to look at but not to sleep under….with all that stuffing, it was so heavy we couldn’t turn over. lol When making the quilt, I would recommend using very little stuffing, but it is a great quilt when it is very cold. I remember try to start one of these but never did even one puff. I may try one now to use up the non-wearable socks and stockings in my dresser drawer. Thanks for the idea. I’ve been searching for something new to try and this was exactly what I was looking for!!! I started it last night and have fifty squares done. Instructions were clear and so do easy. Thank you so much for sharing this pattern!!! I made several of these for nephews and nieces. The babies were wrapped in them for travelling around and laid on them on the floor so they were regularly washed. 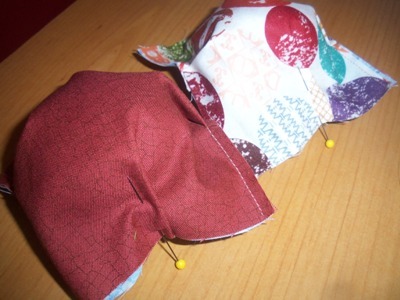 I made each one a different pattern of puffs and found that it was a useful quilt for using up small scraps for the backing of the puffs. I made one for my granddaughter, she loves it, lays on it and says it keeps her warmer laying on top of it! I found It is much easier to slash the back of the ‘bad’ squares. Then piece the whole quilt before filing individual pockets and roughly sewing up the ‘slashes’..Then lining as indicated. I made one of these and it was extremely well received as a dog bed! I did put some batting between the front and back so it was a bit thicker than normal. 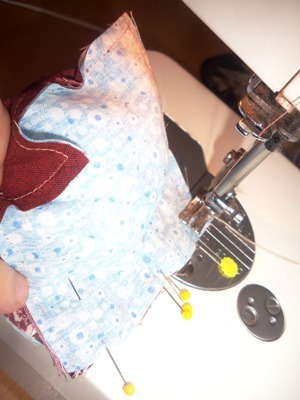 I also used muslin as the “bad” or back fabric which is cheap and easy to work with. I also placed by “puffed” ones alternately as it was my first attempt and I wasn’t sure how it would go through the machine. It went through just fine! Love your quilt. I love this puff quit. My grandmother did a similar quilt but with corduroy and put a nylon stocking in each pocket. It was so pretty but so heavy it really wasn’t useable. I made one for my firstborn. I used it for all three of mine as a floor rug so they could have tummy time. It is not too good with positing, but otherwise washes well. Just give it a good shake when dry to puff up the biscuits. I’ve made two of these for my grandbabies, and they use them for play/reading mats because they really are too heavy to be used as quilts. I stuffed each puff as full as possible, so a finished mat weighed over 4 lbs! If you fill the puffs before sewing them together, it’s going to be difficult to piece them together, especially if you overstuff them like I did. That 1/4″ seam allowance doesn’t give you much room! I used a different method I found online: sewed all the squares together and stuffed them from slits in the backs. Time consuming to see all those slits up but less frustrating! i made one of these on steriods!!! lol, it is for my twin bed and i also made a quilted bottom for it, then sewed that to the top puffy part!!! It is so warm and heavy!!!! But, i like a heavy quilt so this is good. I had to tie the layers together as i could only sew it together at the edged, due to the bulk but it totally rocks. I wish i could post a pic as it is awesome!!! We make these on a regular basis. Made several king size bed sizes as well as baby sizes. Just another idea . . . instead of sewing back to front right sides together and pulling it through (can you imagine the nightmare pulling a king size through?!! 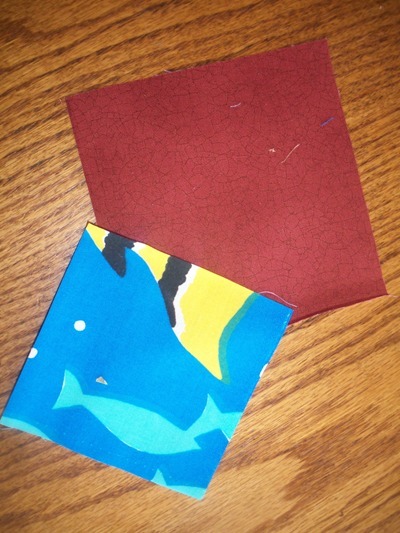 ), we cut the backing 2 inches larger than the front both ways and turn up twice to form the binding. Also be careful not to overfill the ‘puffs’. It is warm enough and heavy enough just filling slightly. Wish I had pics to show. We made a strawberry shortcake, light green froggy one, jewel tones with black squares, University of Michigan and Michigan State one (which we designed ourselves) and one with rich fall colors. Each one seems prettier than the last! what does it mean when you say at the end of your instructions Tie the quilt I love the quilt !!!!!! I just ran across this post today. I have a question. Would this type of quilt be okay to birth after adding the backing and then tying? I know it would probably make it more like a comforter. My 3 grand daughters would each love one of these. Thanks for the tutorial. I have always wondered how they are made. I don’t think I understand your question. SORRY! What about using shoulder pads from dresses and sweaters for the stuffing? Just one more quilt I want to make.